There are many kinds of makeup products available today and you can purchase them online at very affordable prices. Our savvy money-saving experts will provide you with some tips for you to save some money on your makeup purchases. Don’t forget to use the best cheap foundation discount codes at reputable UK retailers including Amazon, Wilko, and Argos. They have the best-branded makeup foundation products. You can save as much as 90% on selected foundations. Choose from a variety of liquid, cream, and powder foundation. These products will not cause any irritation or rashes to your skin. Glitch on Price at Checkout! Loreal Foundation! 20Pcs Professional Makeup Brushes Set Powder Foundation Eyeshadow Eyeliner Etc. All make up users know the importance of foundation. Foundation is a makeup product applied to the skin to smoothen out complexion and hide skin imperfections. It is a definite must have to achieve the flawless look for daily use and even for special occasions. Whether you are looking for a light coverage foundation, a medium coverage foundation or the best full coverage foundation UK, Latest Deals got you covered. Our community of bargain hunters are always on the lookout for deals on best cheap foundations for all skin types. Take advantage of the discounted offers our team of money-saving experts have found, verified, and shared online. Get massive savings on your next foundation purchase from UK retailers such as Debenhams, AllBeauty, House of Fraser, Wilko, and more. The special offers we have here are available for a limited time only, so grab them right away before they expire. Do not forget to bookmark this page and never miss out on all the fantastic savings just waiting for you. Most online UK retailers regularly have sale events on a wide selection of foundation brands where you can save as much 60% off. They also have seasonal clearance sales and flash sales where savings go to ther roof. You can also get additional money off by using the latest foundation discount codes here at Latest Deals. There are also voucher codes that can give you freebies and even free shipping on your purchases. Superdrug. Find foundation drops, foundation palette, foundation sticks, full coverage & camouflage foundation, and more from top brands such as Barry M, Bourjois, E.L.F., CAKE Cosmetics, Revolution Pro, Sacha Cosmetics, and more. Find promotions such as 25% off on select Vichy products, 50% off select B. makeup, 3 for 2 cosmetics, and more. Amazon. 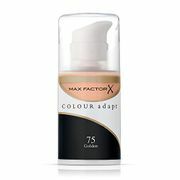 Discover matte foundations, oil-free foundations, best cheap full coverage foundations, anti-aging foundations, long lasting foundations, and all types of foundation from top brands including Max Factor, Rimmel. Revlon, L'Oreal, and Maybelline. Take advantage of Amazon’s daily price reductions to get massive savings on your makeup haul. Get exclusive benefits and deeper discounts if you sign up for Amazon Prime membership. Boots. Find the ideal foundation that matches your skin complexion in Boot’s foundation collection. Discover various formulas with different coverage. Enjoy special offers such as “Buy 1 get 2nd at half price on select No.7 cosmetics”, “3 for 2 on select foundations”, and special discounts on top brands such as NYX, Revlon, Rimmel, Maybelline, Elizabeth Arden, and more. Even get free gifts on select items. Fragrance Direct. Get up to 70% discount on select foundations on sale. Explore various foundation options from known brands such as Cover Girl, Clinique, Manhattan, Mii, and more. Discover “Buy 5 for 4” deals, and even get to have your order of over £20 delivered for free. Just like any other item, there’s so much to consider before purchasing a good foundation. Here is a summary of what to look out for before deciding on your foundation staple. Your skin type. You don’t want an overly done face so it’s important to be careful in picking out the formula designed for your skin type. If you have oily skin, it is not advisable to wear stick or liquid foundation as your skin can appear to be extra oily. 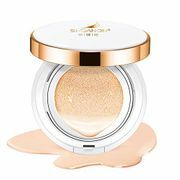 Instead, settle with powder foundation to help absorb excess oil. If you have dry skin, you might want to go with foundation that is packed with moisturizing properties. Look for Extra Benefits. Aside from making sure that your foundation can give your face a smooth finish, it is best to get the most out of it. There are various foundation products in the market today that contain beneficial ingredients. These add-ons can potentially provide solution to your face problems, and even protection. Find acne fighting formula perfect for acne-prone skin, serum infused foundation for dry skin, etc. Kind of coverage. This actually depends on your preference. Get to choose from light coverage, medium coverage, and full coverage. If you want to cover up zits and pimples, go with full coverage. If you want a light tint for that natural glow up look, go with light coverage foundation. Know your skintone. Why? So that you can pick out the correct foundation shade that matches your skintone. Warm undertones look great in peach-based shades; neutral tones look amazing in yellow tints; and cool tones complement with pink shades. There are numerous ways to apply foundation, and these different application manners gives a different finish. Before you put on foundation, always see to it that your face is clean, moisturized and exfoliated. Here are the different ways to apply foundation. Fingers. To achieve a natural look, you may want to use your fingers. Your body heat will help in melting the foundation for an easier blend. Using your fingers, however, is not recommended for full coverage application. This is mainly because streaks will be more visible in a thicker formula. You won’t want an uneven appearance. Sponge. Sponge is ideal for light to medium coverage foundation application. They are the best tools to achieve even blend. Make sure to wash your sponges after every use for hygiene. Brush. There are different kinds of brush for foundation application. There are brushes with synthetic bristles that are highly recommended for liquid foundation, and there are porous brushes for powder foundation application. Airbrush. With the help of air stream, liquid foundation is evenly applied to the skin for a natural and lightweight appearance. Airbrush application can be quite expensive. This is commonly used in special occasions such as weddings and awarding ceremonies. Who said that you need to shell out a lot of money just to have the benefits of owning a good foundation? We have compiled best buy foundations for you that won’t cost more than ten pounds. Not only are these affordable, but they, too, work like magic. Rimmel Wake Me Up Foundation. If you want to achieve a fresh look with a dewy finish, this foundation with SPF15 is perfect for you. This liquid foundation earns additional points with its amazing scent. The Ordinary Serum Foundation. If you want to brighten your appearance without completely masking out your complexion, this affordable yet quality foundation is the way to go. L’Oreal Paris Infalliible 24H-Matte Foundation. 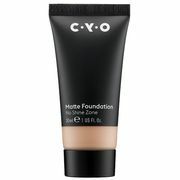 If you desire a medium to high coverage foundation with a matte finish but you have oily skin, you’ll be amazed with what this foundation can do. It is specially formulated to keep face matte without drying it. Max Factor Faceinity 3-in-1 All Day Flawless Foundation SPF20. This 3-in-1 formula with SPF 20 is everything that you need. It has the holding ability of a primer, it can correct dark spots and unwanted lines like a concealer, and most importantly, it can provide a long lasting flawless finish of a liquid foundation.